Mix beef, crumbs, salt and egg and shape into meatballs. Brown in skillet or place in baking pan and bake at 350° F. until brown and firm. Remove from grease and place in a baking dish or casserole. Prepare sauce. Brown green pepper and onion in butter until tender. Stir in soup, brown sugar, Worchestershire, mustard and vinegar. 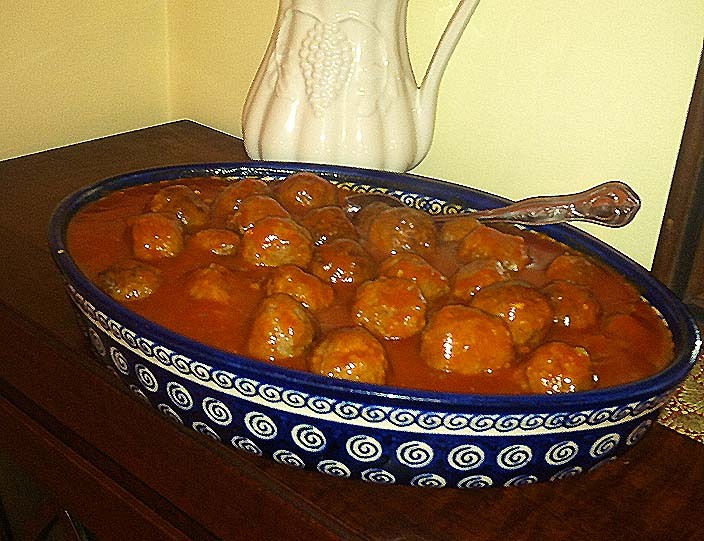 Pour sauce over the meatballs and bake at 350° F for 20 min. Serves 4. Note: In a pinch, when green pepper is not available, make the sauce replacing the green pepper with 3 small stalks of celery and 2 cloves garlic, finely chopped. *Note: Recipe originally published in 1975 in the Milwaukee Journal.